BELOW APPRAISED VALUE! 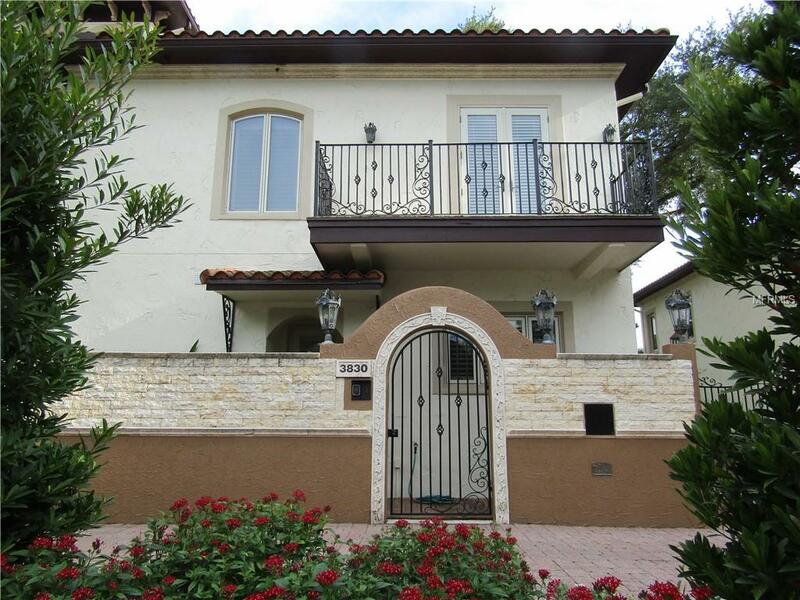 This GORGEOUS, turn key home is the most affordable entry into this fabulous Mediterranean community. Featuring an open gourmet kitchen / great room combination on the 1st floor with 2 bedroom suites on the second floor in the main home and a separate in-law / guest suite over the detached garage appointed with a full kitchen, full bath, closet and private balcony. This exquisite home is the Santo Stefano and is the original model home at La Maddalena. This community surrounds you in Old World Mediterranean ambiance with Italian Florence village design rarely found in South Tampa! Exceptional quality and upscale finishes make a statement about your discerning tastes in homeownership! Features include, double pane casement windows, gorgeous solid-wood front door, gourmet Viking appointed kitchen with choice of gas or electric, luxurious 6' Bain Ultra spa tub, custom closet systems, private balconies off every bedroom, crown moldings & chair rails, hi volume ceilings with Italian lace texture, complete security and fire alarm system with fire-sprinklers in all areas, Culligan whole Home water softener system, 2 water heaters, gas line for outdoor kitchen, a exclusive use 30 x30 courtyard with tropical landscaping and a shady great Oak. Pavered drive areas, a pond with a waterfall and charming gas lanterns await inside the gated common area motor court approach to your FULL sized 2 car garage. Luxury Awaits You! Additional Lease Restrictions Please Contact Hoa Management For Details. Listing provided courtesy of Tampa Home Sales, Inc..